MUST REGISTER FOR A VALID ACCOUNT IN ORDER TO APPLY THE DISCOUNT CODE. 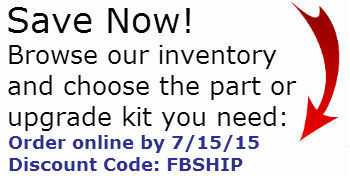 Enter the code: "FBSHIP" to receive free shipping on any of your orders. One time use only. Order must be placed online by 7/15/15. Shipping addresses located outside the continental U.S. (i.e. Hawaii and Alaska) are not eligible for this offer. Contact Original Air with any questions prior to purchase.